Fill out our simple form and get quotes from local hot tub suppliers. The sun is out, the bubbly is on ice and a special occasion needs to be celebrated! Try hiring a hot tub for your own garden or small event to make a special day even more memorable. Hot tub hire is a great way to treat a loved one or just give you an excuse to relax and unwind. Add to Event work with some of the UK’s leading hot tub suppliers to bring you the best possible choice. We hire hot tubs for all occasions! Great fun for friends and family or just a couple looking for a romantic weekend. Our hire periods are Friday to Monday, Monday to Thursday or full weeks. We don't offer just a tub to hire, we offer experiences and will work with you to make sure that your hire period is special and memorable. Type of tub: would you like an Inflatable or Solid tub? Times and dates: number of days, time it needs to be used, time you could accept delivery/pickup. Venue/set-up site: Where will the hot tub be placed? Include specifics about accessibility, water supply and power supply. Remember that the hot tub needs to heat before use, so bear this in mind with delivery times. There also tends to be a minimum length hire period so please consider that you may not receive any quotes if you put through a request for a few hours or just one day. Please select both if you have no preference. Inflatable Tubs are great fun for those on a budget and can be inflated on site if access is restricted though they usually accommodate less people and can lose heat more quickly than solid tubs. Solid tubs typically have built in seats and stay warm for longer than inflatable tubs. They often have extra features such as coloured lights and accommodate more people. Please note, images are for illustrative purposes only. Typically it takes 24 hours to heat a hot tub therefore minimum hire time is 2 days. Please note, if you do not have an outside power source you will need to be have access to an indoor power socket. Hot Tub & Disco Dome Hire Monmouthshire supply hot tubs and disco domes throughout Monmouthshire and beyond. 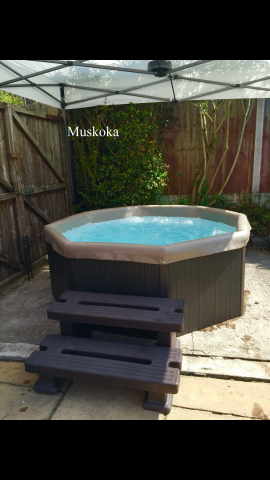 Catering for any occasion or event, their supply of Canadian Spa hot tubs are very popular and are always assembled on site by an experienced specialist. There are also gazebos available with the hot tub to protect from inclement weather or provide opportunities for decoration. What do you need to know from an organiser in order to provide a comprehensive quote? We would like to know whether the space where the equipment is to be set up is big enough and flat enough, whether there is access to water and if there is also access to electricity. Do you also want you hot tub supplied with a gazebo and lights? What type of event are you hosting, for example whether it is a hen party so we can supply champagne or a children's party which needs banners and balloons. What advice would you give to a customer looking to hire a provider in your area of work? All of our equipment is top of the range and have spares in case of any breakdowns. You need to make sure there are steps provided for ease of access as a lot of companies do not supply them and can be hard work climbing in and out. Please tell us a little bit about how and why you started the business. I started the business a while back because a co-worker had one for their daughter's birthday and I really liked the idea. I asked for feedback from his daughter after the party and said she thoroughly enjoyed it and was trying to re-book for the end of the following month. I had to give this business a try as I was living 50 miles out of the area they had booked. Please tell us about a booking you've had through Add to Event, how did it go? Would you recommend us to others? I've had many bookings through Add to Event. I get multiple bookings per week now just off this site alone and would say I get more than my money's worth. I had one job off here where the customer wanted 2 hot tubs at the same party which was a first for me - and has to be my best job to date. Do you provide event services? Join Add to Event today and gain immediate access to live local requests. Hot tubs are hot stuff in the UK, even if the weather isn’t always so hot! The popularity of hot tub hire in the UK has led to more companies offering the option to rent a hot tub for a party or special occasion. A portable hot tub is a great addition for a smaller gathering, birthday or anniversary celebration. There is no hassle involved when you hire a hot tub as all of the set up and pick up are taken care of, all you need to do is get the champagne on ice! 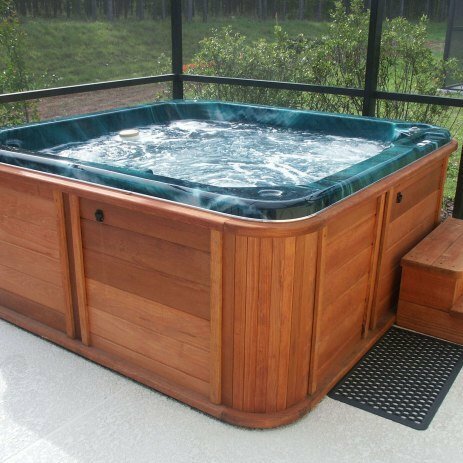 When hiring hot tubs UK based suppliers are offering more and more options, including inflatable hot tub rental and specialist spa pools. Hot tubs for hire are ideal for a weekend or romantic surprise gift. To find hot tubs for hire in your area and get quotes from supplies, complete our free quote form.